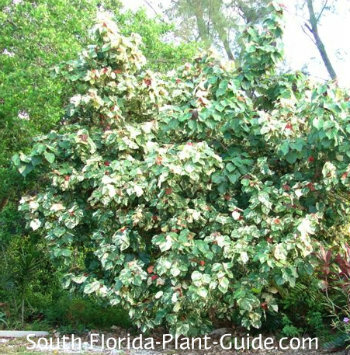 Each leaf is like a work of art on the variegated mahoe tree, a very showy shade tree for South Florida home landscapes. The large heart-shaped leaves are decorated in a unique marbleized tricolor - green and white with touches of red especially on new growth. Lower branches can be left on to flow to the ground in a shrub-like manner. Or the trunk can be cleaned up for a more classic shade tree look. Though mahoes can grow large, many homeowners keep them smaller with a very hard spring pruning. Space-wise, a mahoe works fine in a medium-sized yard and can be pruned to fit in many smaller yards as well. The tree produces summer flowers that open yellow in the morning and turn red by sunset. The blossoms are similar in looks to hibiscus flowers and, like them, last only a day. 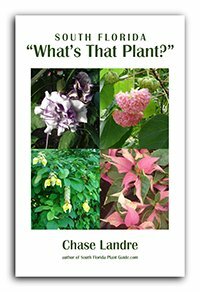 Mahoe is actually a salt tolerant cousin, giving it the common name of "Sea Hibiscus." Dropped leaves can be a bit messy but they're easily raked or blown, and the work is well worth it for the tree's amazing color. 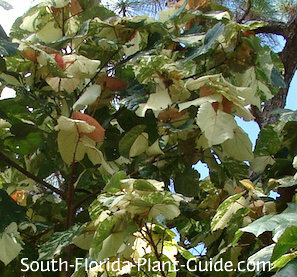 There is an all-green variety but the variegated mahoe is more popular for its showy foliage. 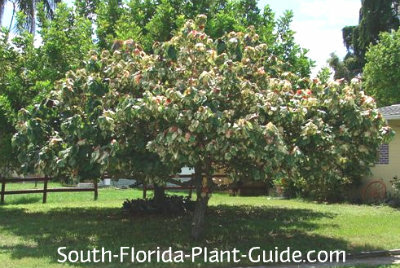 Mahoes are evergreen, fast growing shade trees that can grow 40 feet tall but can be kept half that with proper pruning. They prefer full to partial sun, and need the warmth of Zone 10 to thrive. 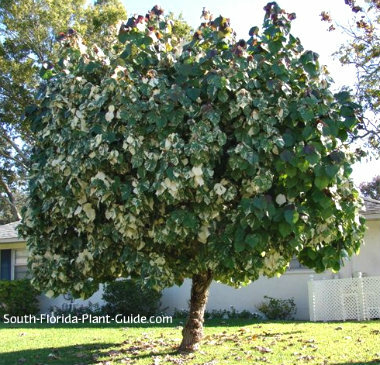 A mahoe tree is salt-tolerant, making it a great choice for seaside properties. This tree blooms during warm months, but the flowers are just icing on the cake since the foliage itself is showy year-round. Add top soil or organic peat moss to the hole when you plant. You can also mix in composted cow manure to enrich the soil around the tree's rootball. Trimming depends on how you want the tree to look. 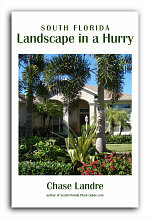 For a more shrub-like look, leave lower branches on...or cut them off to encourage a more tree-like appearance. Prune back hard in spring (late March to early April) if you want a smaller overall size. Water on a regular basis. Fertilize 3 times a year - in spring, summer, and autumn - with a good quality granular fertilizer. Place this tree at least 12 to 15 feet from the house. Come in from a walk or driveway 8 feet or more. COMPANION PLANT SUGGESTIONS: Because leaves drop fairly often, don't plant just beneath the tree's trunk. 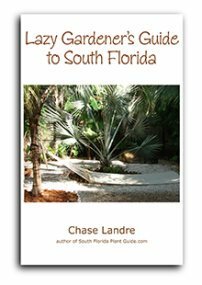 Nearby plants might include Super King ixora, red fountain grass, bush daisy, Burgundy loropetalum, and ruella.